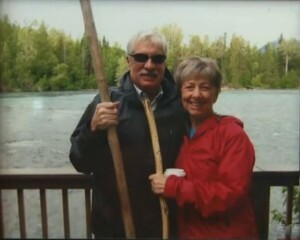 Viking River Cruises charges Denver, Colorado widower a $853 rebooking fee after his wife died of cancer. Sick, just sick. What kind of a company does this? It appears that the situation was finally handled and resolved, but only because FOX 31 in Denver contacted the cruise line and embarrassed them with bad PR. A Loveland man had just lost his wife only to be dealt another painful blow. He received an $850 charge from Viking River Cruises because his late wife wasn’t going on the prepaid trip. Tom Ast contacted the FOX31 Denver Problem Solvers after going around and around with the cruise line. He said he got nowhere. At one point, he was told if he didn’t pay the “rebooking” fee, he would lose the money he already paid for the nearly $11,000 cruise. The search continues for the missing crew member aboard the Queen Mary II who went overboard Saturday morning off the Coast of Newfoundland. 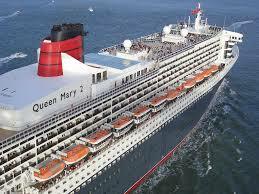 The Queen Mary 2 was traveling from Southampton to New York and is due to stop in Halifax, Nova Scotia, on Monday. According to the Cunard cruise line, the ship has turned around to retrace its voyage to search for the missing person, however, foggy weather is hampering the search. Cunard did not provide details of the incident but says it is working closely with local authorities. The crew of the luxury liner Queen Mary II were searching on Saturday for a crew member who went overboard off the coast of Newfoundland. The cruise line, Cunard, said the ship had turned around to retrace its voyage in order to search for the missing person, but was being hampered by foggy weather. “We have clearly established that the crew member went overboard earlier this morning,” Cunard said in a statement. Cunard did not provide details of the incident but said it was working closely with local authorities. The Queen Mary II, Cunard’s flagship, was travelling from Southampton to New York and was due to stop in Halifax, Nova Scotia, on Monday. It has been 9 years since George Smith IV went missing aboard the Royal Caribbean Cruise line “Brilliance of the Seas” … the mystery an unanswered questions continue. It has been none years since George Smith IV went missing while on his honeymoon with Jennifer Hagel Smith aboard the Royal Caribbean Cruise Line “Brilliance of the Seas”. Since that fateful day, July 5, 2005, George’s family, his parents George and Maureen and sister Bree, have fought to learn the truth of what happened the night that George Smith went missing. The Smith family is certain that it was no accident. They appeared on CBS 48 Hours Saturday night, Maureen Smith said, “I have no doubt in my mind whatsoever that my son was murdered on that cruise ship.” The family has renewed their push to solve the case, they are offering a $100,000 reward for information leading directly to the arrest and conviction of whoever was responsible for their son’s disappearance. Nine years ago – July 5, 2005 – George Smith IV vanished from his honeymoon cruise in the Aegean Sea. His body has never been found. Contrary to what authorities have said, his mother, Maureen Smith, is certain it was no accident. “I have no doubt in my mind whatsoever that my son was murdered on that cruise ship,” she tells CBS News’ 48 HOURS. Family continues pursuit for answers … JUSTICE FOR GEORGE!!! The reward and media surge come three months after the family launched a Facebook profile to post evidence and information relating to their ongoing search for justice. 55 year old Lonnie Kocontes was arrested Friday night on an outstanding warrant in Southwest Florida for the murder of his ex-wife Micki Kanesaki. Kocontes was charged with special circumstances murder for financial gain in the death of his ex-wife who went overboard aboard an Italian cruise ship on May 26, 2006 off the Island Escape in the Mediterranean. Her body was found by the Italian Coast Guard the next day, floating in the sea near Naples. This sounds a little bit like the Gary Giordano – Robyn Gardner missing persons for profit case in Aruba. Prosecutors believe that Kocontes strangled Kaneski to death on board the ship and then threw her overboard. The arrest finally ended an investigation that started in 2008, when Kocontes began transferring more than $1 million from Kaneski’s bank accounts into joint accounts he held with his new wife. If convicted, Lonnie Kocontes faces life in state prison without the possibility of parole and is eligible for the death penalty. He was charged with one count of special circumstances murder for financial gain, according to Farrah Emami, a spokeswoman for the Orange County District Attorney’s office. Kocontes’ ex-wife, Micki Kanesaki, plunged into the Mediterranean on May 26, 2006, off the Island Escape, which was sailing between Sicily and Naples, according to the FBI. Her body washed ashore the next day in Calabria in southwest Italy. 42 year old Jason Gregory Rappe of Olympia, WA has gone missing aboard the Holland America Cruise Ship Eurodam. It is believed that Rappe went overboard. He was reported missing by his wife Thursday. The Eurodam was traveling from St. Thomas in the U.S. Virgin Islands to the Bahamas when Rappe was reported missing. A search has begun for missing Jason Gregory Rappe. The Coast Guard activated a helicopter crew based out of the Air Station Borinquen on Puerto Rico and diverted the cutters Nantucket, a 110-foot patrol boat based in San Juan, and Decisive, a 210-foot cutter based in Pascagoula, MS, to search for Rappe. The man, identified as 42-year-old Jason Gregory Rappe of Olympia, Washington, was reported missing Thursday by his wife from the Holland America cruise ship Eurodam. A baseball cap belonging to the passenger was found on one of the decks and he is believed to have gone overboard. UPDATE I: Coast Guard searching for passenger missing from cruise ship. The search continued Thursday night for a cruise ship passenger who was reported missing early Thursday morning, less than a day after his ship departed from a port call to St. Thomas. Coast Guard search and rescue crews were searching for the passenger, a 42-year-old man from Washington, who reportedly disappeared from the Holland America Line cruise ship Eurodam early Thursday morning while the vessel was traveling from St. Thomas to the Bahamas, according to a press release from Coast Guard spokesman Ricardo Castrodad. Castrodad said Thursday evening that the passenger had not been sighted and a search was ongoing. UPDATE II: Search ends for man missing from Caribbean cruise.